Hello dearies, I hope you are all doing well. I just want to share with you what I have been doing with my hair for sometime now. My hair became boring to me at 15 weeks post of relaxer and I decided to relax my hair because i already had a lot of new growth and stretching became tiring, the relaxer process went well, I did not take record of the timing tho but my hair came out well with no damage or breakage because I deep conditioned some days before relaxing and I applied olive oil to my scalp, my relaxed ends and my hairline before relaxing. After some weeks of relaxing, I decided to make braids with my hair since I was tired of seeing my hair and I wanted something different and since I am not a fan of fixing every now and then, I decided to make a full, waist length braids. 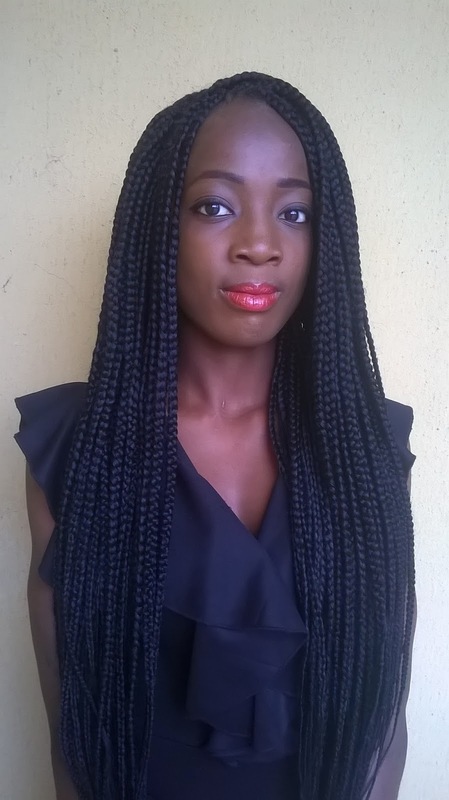 I used five packs of Xpessions Kanekalon, installation took my hairdresser four hours and I really loved the outcome. 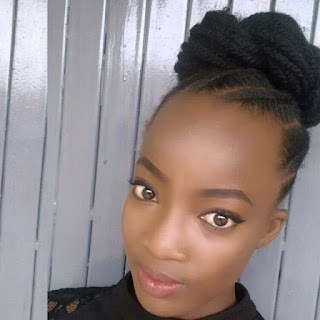 Please note that I would not advice this hairstyle for someone on a hair journey because it is quite heavy and could be dangerous to the hair especially the hairline if installed too tight and not taken care of properly.. 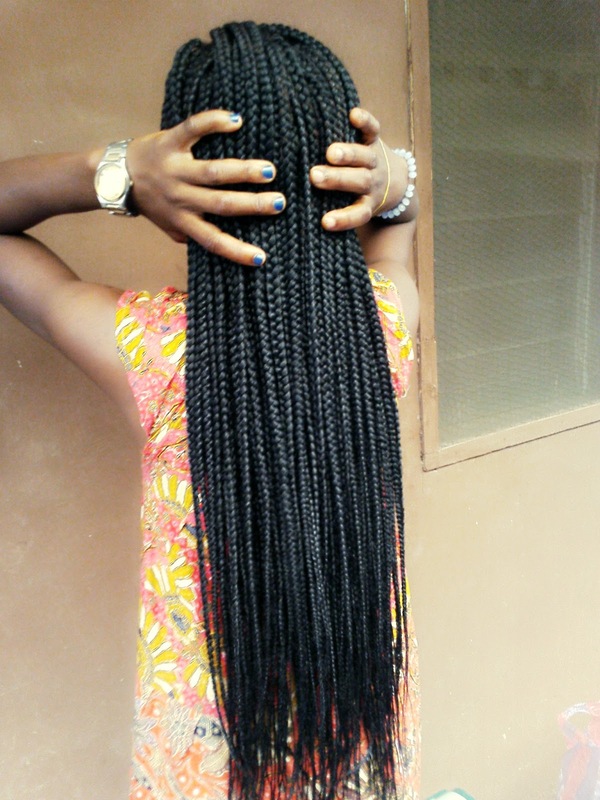 If you are on a hair journey and you are considering making braids, it’s very protective and you might not want to make too long braids, so it won’t be too heavy. Caring for your hair in the braids would also be very important. What have you done to your hair recently?